PESHAWAR, Pakistan, Mar 2 2016 (IPS) - “We are extremely jubilant over the rebuilding of our school that the Taliban destroyed it in 2013, due to which we used to sit without a roof,” Mujahida Bibi, a student of 8th grade in Government Girls Middle School North Waziristan Agency, told IPS. North Waziristan Agency — one of the seven districts called Federally Administered Tribal Areas (Fata) — has been the headquarters of the outlawed Tehreek Taliban Pakistan. Since the launching of military operations in June 2014, this area has been cleared and activities are rapidly returning to normal. Like Bibi, Abdul Qadeem, 16, is also enjoying his new school, in the adjacent South Waziristan Agency. “Taliban damaged our school in 2012 due to which the rich students shifted to other safer areas to continue studies while we the poor ones stayed in the roofless building for three years,” Qadeem, a ninth grader, told IPS. The school was rebuilt three months ago. “Now students are enthusiastic to study,” he added. Fata located alongside the Afghanistan border was thick with militants since 2002, when the Taliban government was toppled by US-led forces. The militants were forced to cross over to Pakistan and take refuge in the sprawling Fata. From 2005, they started attacking government-owned buildings, schools, hospitals and offices not only in Fata but also in the adjacent Khyber Pakhtunkhwa (KP), one of Pakistan’s four provinces, in their bid to deprive the people of modern education, which they considered against Islam. However, with the Taliban’s defeat at the hands of Pakistan army, the reconstruction of the schools began. Taliban damaged a total of 750 schools, including 500 in Fata and 250 in KP. In Fata, 17 per cent of the destroyed schools have been rebuilt, mostly through assistance by donor agencies. “We have deployed 10,000 paramilitary troops to protect the schools from militant attacks,” Javid Shah, an education officer, told IPS. Before military operations, Taliban blew up schools at their own will, especially those for girls, because Taliban were under misconception that female education was disallowed in Islam, said Shah, adding that “there are several stances that when the authorities rebuilt a school, the militants destroyed it again.” Besides, putting in place security measures, we have also involved local people to protect the schools, he elaborated. The KP government has also completed reconstruction of the 200 schools, Education Minister Atif Khan told IPS. “We have allocated $60m for reconstruction of schools. Only 50 Taliban-damaged schools remained to be rebuilt”, he said. Standard operating procedures have also been issued to the concerned authorities to prepare security plan for educational institutions in their respective areas. “Under the Sensitive and Vulnerable Establishments and Places (security) Act, we have also asked the private sector to improve security of schools by ensuring installation of CCTV cameras, deployment of security guards and increasing height of the boundary walls up to 10 feet,” he added. Musarrat Naseem, 13, is also among the fortunate students who have started studying in a new school in the Khyber Agency of Fata. 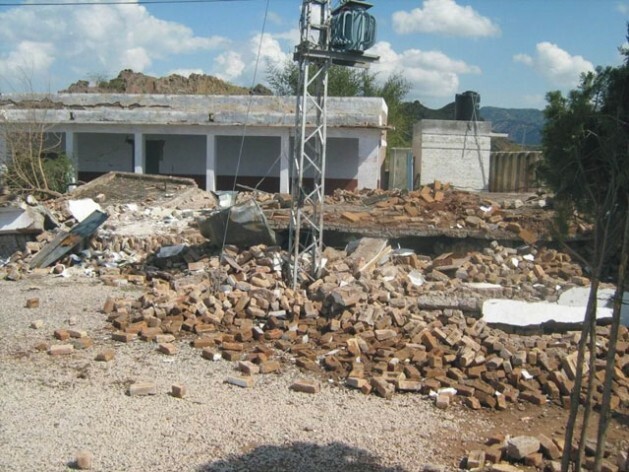 “Our school was destroyed in 2012 due to which we faced hardships. We often took classes under trees in summer and in the sun in winter because of unavailability of required facilities,” said Naseem an 8 grader. Fata has a total of 5,572 educational institutions which have around 574,512 students. “Number of students has increased in our school after its rebuilding. Students from remote areas are also coming to seek admission here,” Samir Ahmed, a teacher in Mohmand Agency of Fata, told IPS. Taliban destroyed 127 schools in Mohmand Agency, of which 99 have been rebuilt, he said. About 10 per cent students have left schools because of the lack of building and security but now there is boom in admission, he said, elaborating that “parents are coming in droves to enroll their kids in school.” Free books and uniforms have been provided to encourage the poor people to put their children in schools. The Taliban wanted to eliminate schools and send our children back to the Stone Age but we are determined to thwart their conspiracies and provides better education to our generation, Wakeel stated, arguing that “we can defeat Taliban militants through education”. Taliban’s campaign against schools has triggered a desire for education among children. Taliban inflicted losses on the poor but their intentions have been exposed. Parents are eager to see their wards educated, he added.